The common mistake is the supposition that quality is ensured by No. 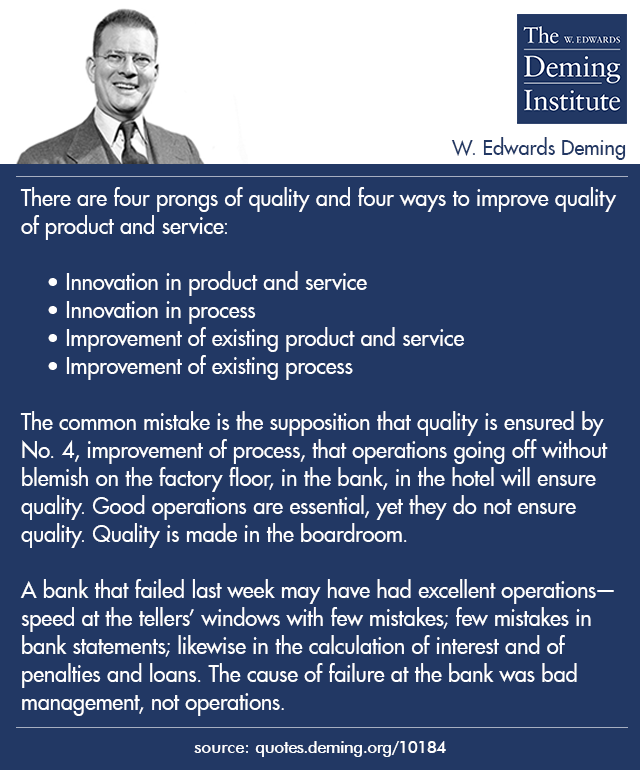 4, improvement of process, that operations going off without blemish on the factory floor, in the bank, in the hotel will ensure quality. Good operations are essential, yet they do not ensure quality. Quality is made in the boardroom. A bank that failed last week may have had excellent operations— speed at the tellers’ windows with few mistakes; few mistakes in bank statements; likewise in the calculation of interest and of penalties and loans. The cause of failure at the bank was bad management, not operations. 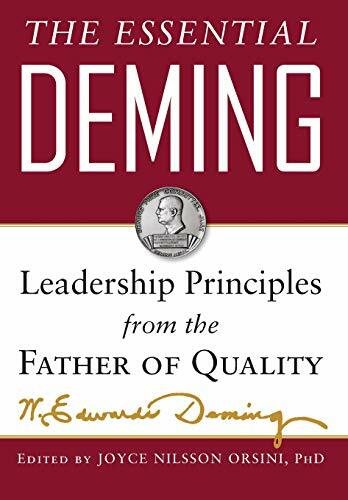 W. Edwards Deming, “The Need to Change”, 1989. 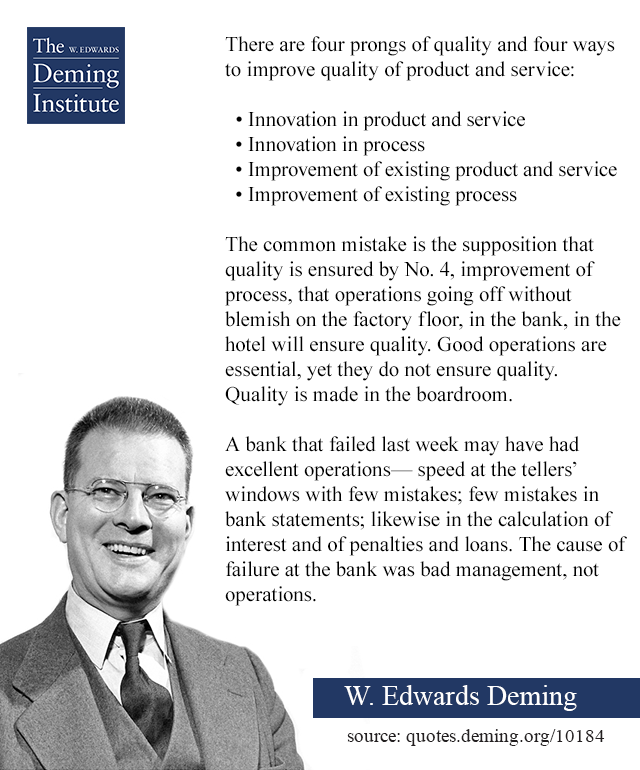 Reprinted on page 41 of The Essential Deming.